The Transport Accident Commission will continue its push to create safer Victorian motorcycle riders through a partnership with influential Melbourne motorcycle group Kustom Kommune. The new partnership gives the TAC an opportunity to talk to riders about the latest safe bike technologies and the importance of regular bike maintenance and protective clothing. Last year, 56 motorcyclists died on Victoria roads compared with 30 fatalities in 2015. 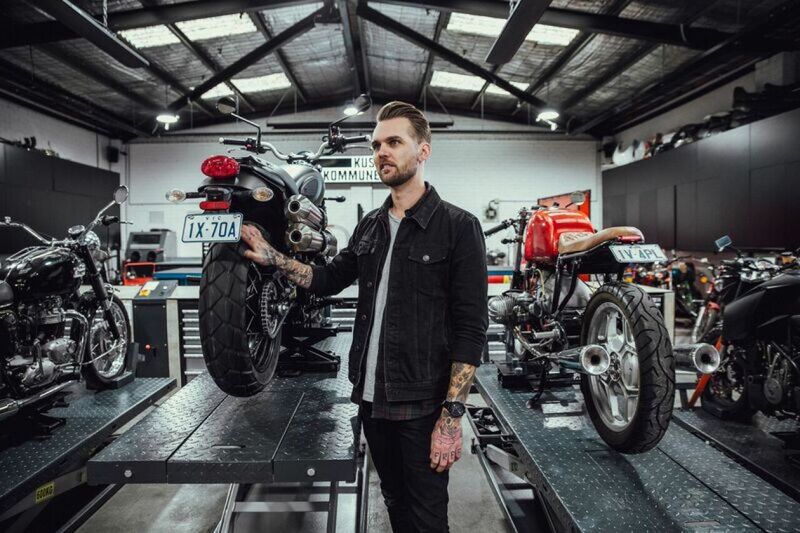 Based in Richmond, Kustom Kommune is Australia’s first communal motorcycle workshop, where more than 600 members meet to share their passion for motor bikes. TAC director of road safety engagement Guy Britt said it was critical to continue finding new ways to get motorcycle riders thinking about road safety. “This partnership allows us to talk to a wide network of Victorian motorcycle enthusiasts and reinforce important rider safety information,” Mr Britt said. The partnership will see safety experts provide bike maintenance advice to Kustom Kommune members, plus monthly bike safety checks and advice on the best protective clothing to wear. Mr Britt said motorcycle safety technologies such as ABS could drastically improve a rider’s chance of surviving a crash when something unexpected happens on the roads. “We’d like all Victorian riders to insist on ABS when shopping for their next bike because our research shows it can reduce the rate of rider deaths and serious injuries by around 30 per cent,” Mr Britt said. The TAC’s motorcycle-dedicated website Spokes is made by riders for riders, and provides riders with important safety information to help keep them save on the roads.